It was a blue-sky, cool day spiced by lunch with friends Susan and Elihu at a new restaurant in neighboring Biloxi. Lunch was delicious, conversation was lively and the surroundings were welcoming. It is nice to see a little life returning to the historic Biloxi business district that was ravaged by Hurricane Katrina in 2005. 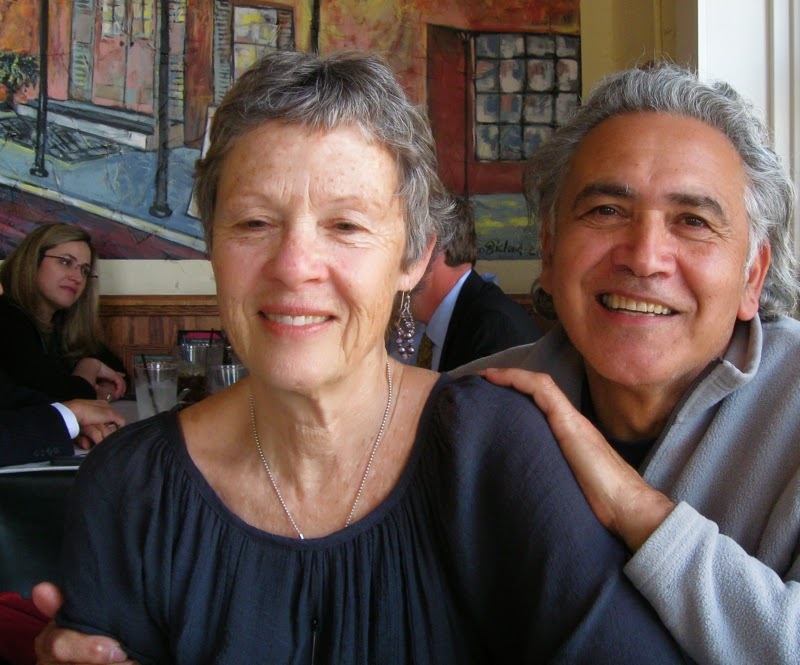 Visiting with Susan and Elihu, both gifted artists, was a treat. Their family web site features samples of the work of the couple and their son Joel. To visit The Carranza Collective click here. Susan also delivered the copy of Pierre’s Great Escape that I had ordered. It is a children’s book she wrote, illustrated and self-published. I am enjoying the book until I have a chance to deliver it to its new home in Baton Rouge with our Louisiana grands. These two youngsters love New Orleans. 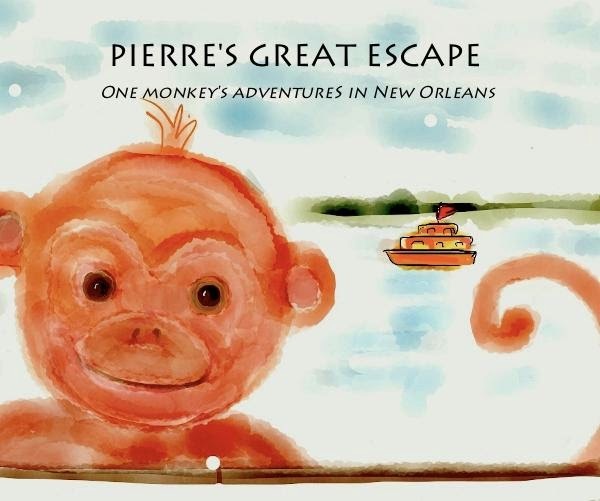 They, like Susan, have had many of the same adventures Pierre experiences in the book. I found the little monkey Pierre endearing. And our family’s connection with the Carranzas and our grandchildren Molly Kate and Walker's connection with New Orleans and the Audubon Zoo made this a purchase I couldn’t pass up. Susan and Elihu were special influences in the younger years of our son Jeremy, Molly Kate and Walker's dad. When Jeremy and the Carranza's son Joel were growing up, they spent a lot of time together. Joel now works with a West Coast software company, telecommuting from New Orleans. He alerted his mom to a news item about a monkey escaping its cage at the Audubon Zoo in New Orleans. That little news item sparked Susan’s imagination, and Pierre’s Great Escape was born. It was Susan’s first experience with publishing. 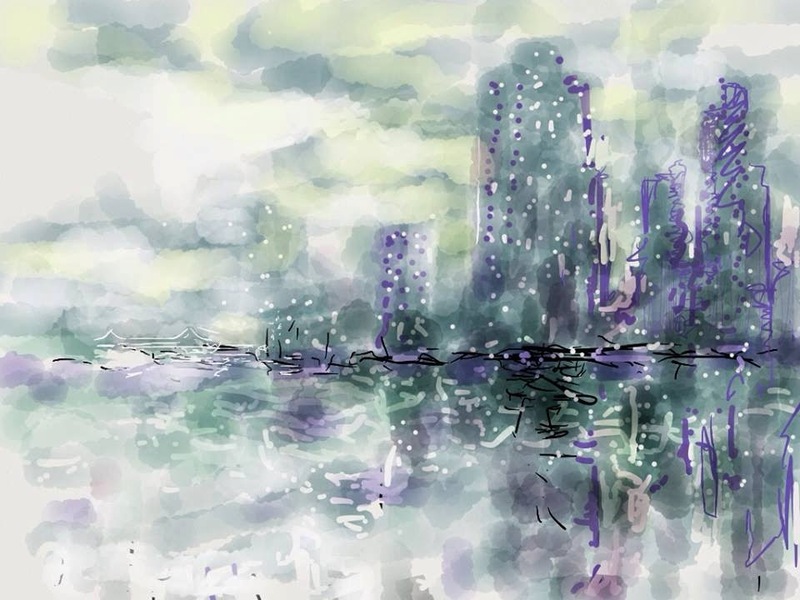 It was also one of her first experiences using an iPad and software program for her art. I thought her Pierre illustrations had the color and feel of some of her Italian gouaches she brought to our office when we were working together. Those were created with more traditional methods. Is the “old way” more satisfying than using the iPad for her art? Susan said that she thoroughly enjoyed playing around with the iPad and the program Paper 53 that she used for the book. She said that it was actually easier than drawing and erasing to get exactly what she envisioned. Susan has also recently posted some of her digital creations on Facebook. “People have contacted me and bought them,” she said. And her on-line sales of her iPad works have outpaced recent sales of her more traditionally created pieces, she noted. I am not an artist and not at all knowledgeable about art. But I do love how Susan, Elihu and other creative acquaintances are eager to “play around” with new techniques and technology and how they do so with results that I find remarkable. Nothing better than spending the day with friends!!! The drawing is just beautiful, it looks like a fine painting! How fun to spend time with your talented friends; that book about the monkey looks real cute. That art work is really beautiful. I can't believe it was done on the computer. Lovely couple. I' glad you had a nice visit with such interesting friends. Hope all is well for you. So nice to connect with good friends and enjoy the day. The book sounds fun and the drawing of NO on the levee is beautiful, especially the colors! Hmmmm....I wrote a whole post and I don't know where it went. Love the computer art work. I wish I knew how to do that. Technology and me are not the best of friends. I was thinking about them the other day. Glad to see they are doing well. You are doing well at enjoying outings to be with friends and relatives. The book looks fun and the drawing is tremendous.